We now have a vacancy for a supervisor to provide guidance, practice support and leadership to our housing support teams as well as direct support working closely alongside individuals and their families. 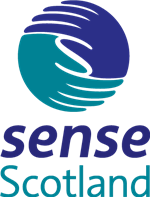 Sense Scotland supports a number of adults with communication support needs and /or a physical/learning disability across Ayrshire. We provide Care at Home and Housing Support services to individuals within their own tenancies. Sense provides flexible 24hr support to the people we work for which includes; early shifts, back shifts, day shifts, sleep overs and/or night shifts. On call responsibilities are also part of the role. Sense pride themselves on ensuring that small dedicated teams of support are built round the people we work for to ensure they have consistency in their lives. These services are located within the Stevenston, Saltcoats and Irvine area. The nature of the services provided by Sense Scotland means that no two days look the same. We are looking to recruit an individual that is open to trying new activities and who is able to contribute their skills to ensure that the people we work for have as fulfilling a life as possible. As well as promoting the importance of social activities and building community connection there is an expectation that the successful candidate will take responsibility for ensuring the individual health needs are met. The ability to lead a team towards meeting the outcomes of the service is essential. The people we support have access to their own vehicle therefore a clean driving license is desirable. There will be 1:1 working required but you will have regular access to peer support and the opportunity work alongside other supervisors and managers for guidance. Some experience is essential although we do provide extensive training, local induction and regular supervision and support. Individual service user needs are identified and met in practice. They set and demonstrate good standards of work practice, by offering support, supervision and on shift training through example. Guide staff in providing a welcoming responsive, flexible and integrated service provision that reflects and meets the needs of service users and their family. Staffing rotas are maintained, taking into account information relating to any changes in service user or staff needs. The service user's individual support plan is implemented and is updated as required to reflect any day-to-day changes in the service user’s needs. Proper record-keeping, including recording incidents and complaints are maintained. Be aware of the responsibilities of individual service users with regard to their tenancy agreement and support them to meet these. Support people to apply into practice all the principles of safety in the home as agreed with the Manager. Support people to apply the principles of healthy eating and personal and household hygiene into their daily living as agreed with the Manager. Where a service user shows behaviours that present a challenge to staff ensure that all agreed intervention strategies are implemented into practice. Where risk assessments are in place to minimise risk to either service users or staff ensure that the appropriate steps are taken to apply the guidance into practice. Must be in a position to gain qualification as determined by the SSSC for registration; such as a relevant professional qualification and /or an SVQ 4 in Social Care (If not already completed), must be in a position to undertake study towards an additional supervisory or management qualification suitable for a supervisor of a care service with a minimum of 15 credits at SCQF level 7 or above. Be able to gain registration with the SSSC within the timescale required. Practical experience working directly with people with complex support needs. Experience in leading a shift. Supervisory or management qualification suitable for a supervisor of a care service with a minimum of 15 credits at SCQF level 7 or above. Signed communication skills to a minimum of BSL.